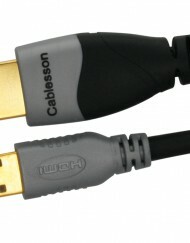 SKU: 103132. 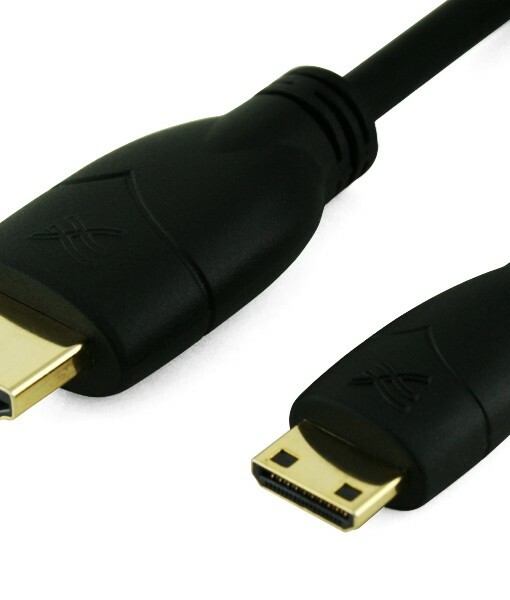 Category: HDMI to mini HDMI. 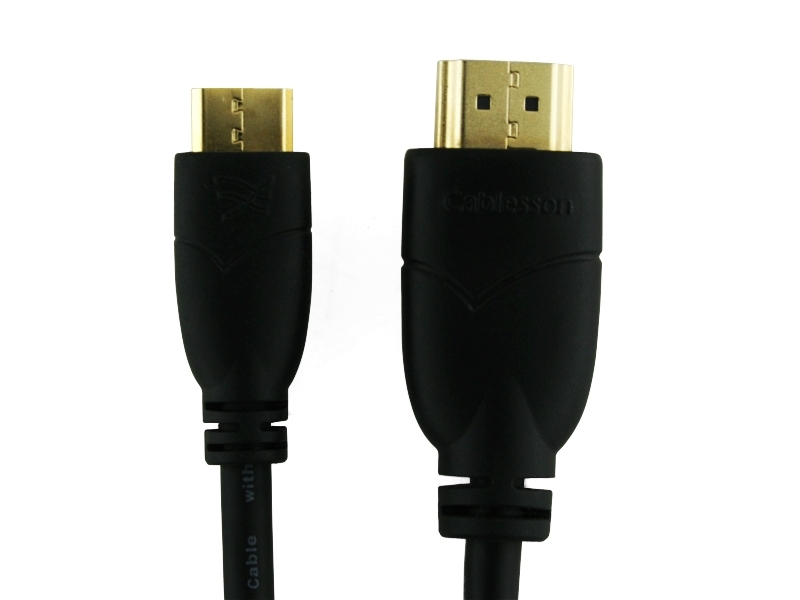 Tag: Cablesson Basic High Speed Mini HDMI to HDMI Cable with Ethernet. 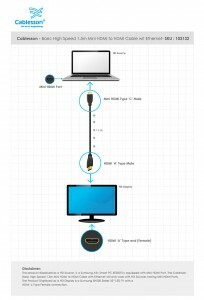 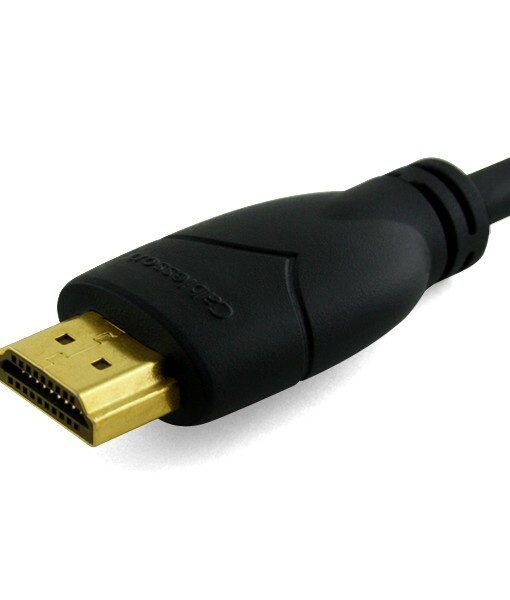 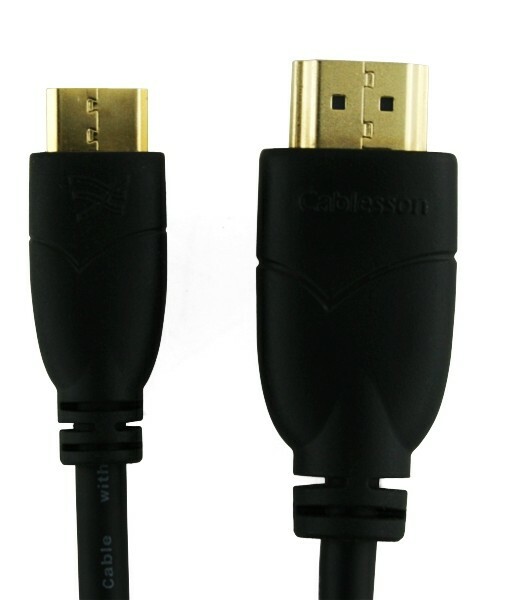 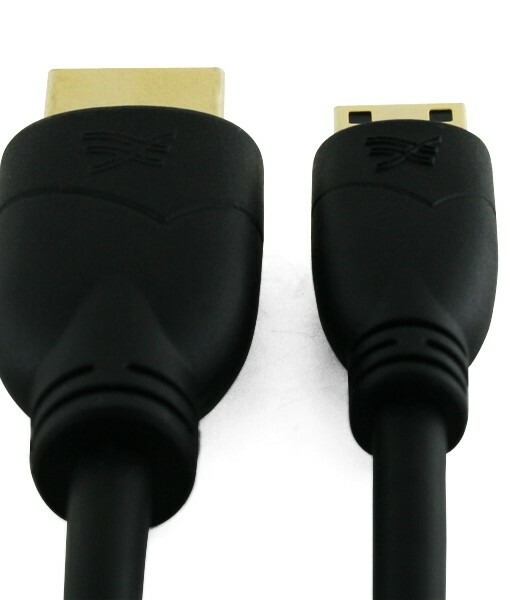 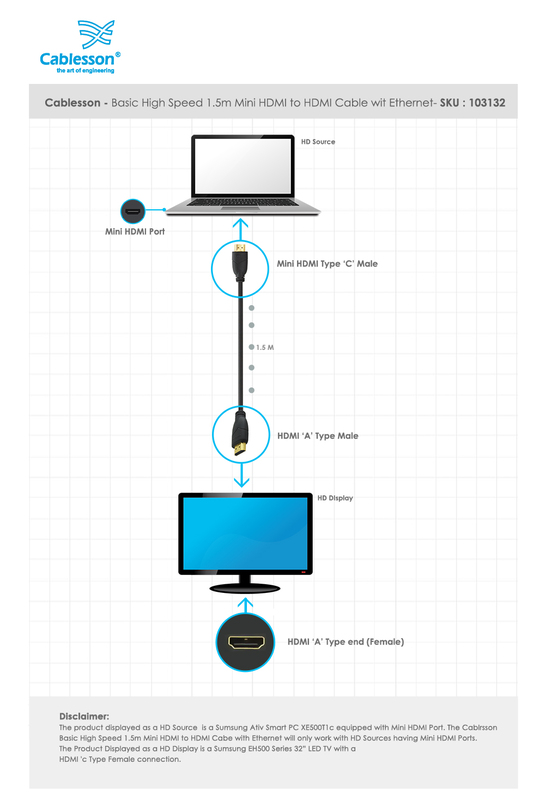 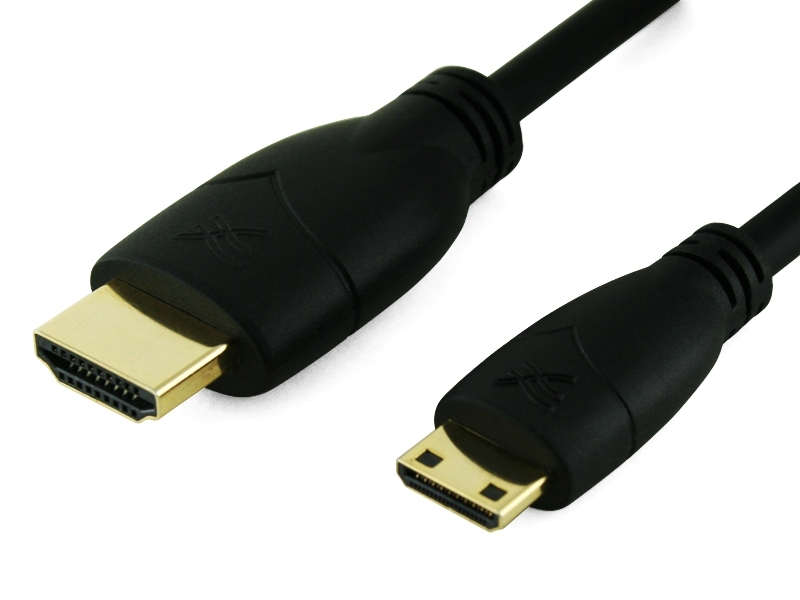 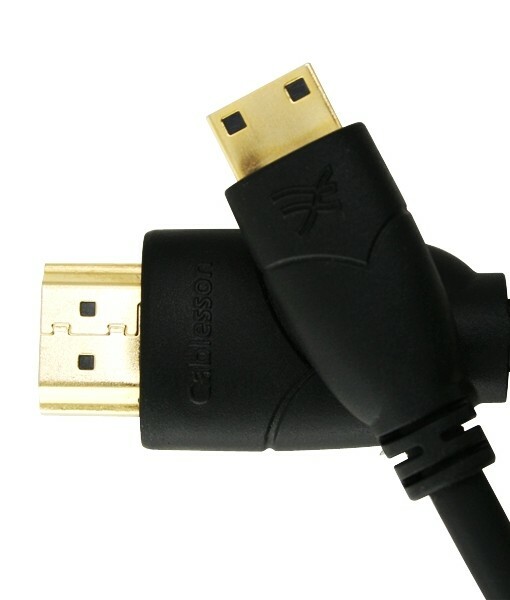 The Cablesson Basic High Speed Mini HDMI to HDMI Cable with Ethernet offers an ideal way to connect digital portable devices with Mini HDMI (HDMI C) ports to HDTVs, Projectors, AV Amp, HDMI Switch, HDMI Splitter, etc…. 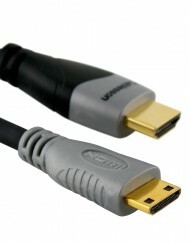 with full-size HDMI (HDMI A) ports. 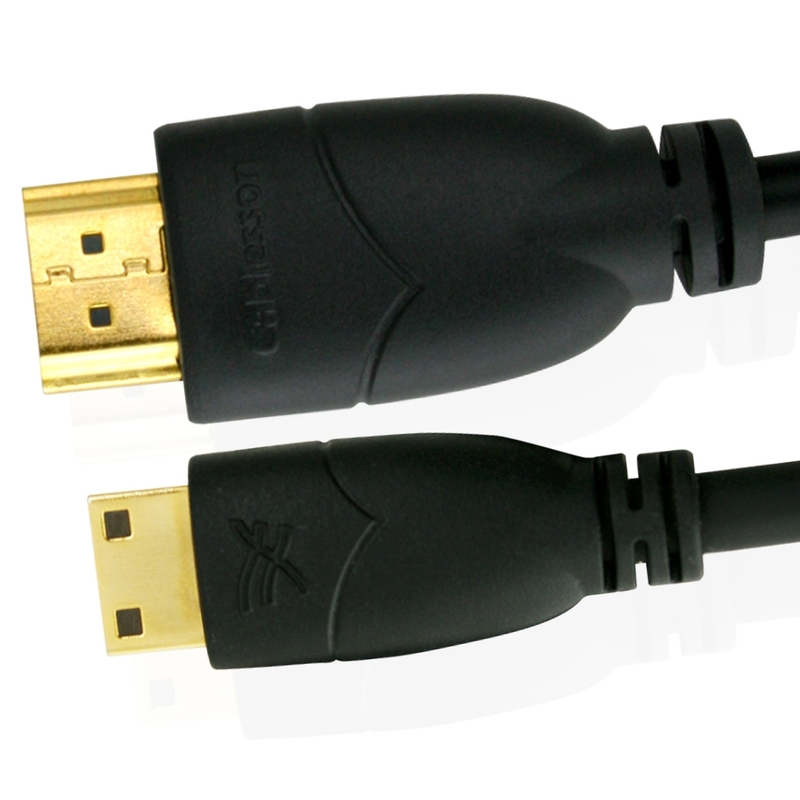 This cable is part of the Cablesson HDMI range of cables which are designed to offer the highest cable quality and which offers the maximum Stress Relief to protect the delicate HDMI ports of your HD equipment. 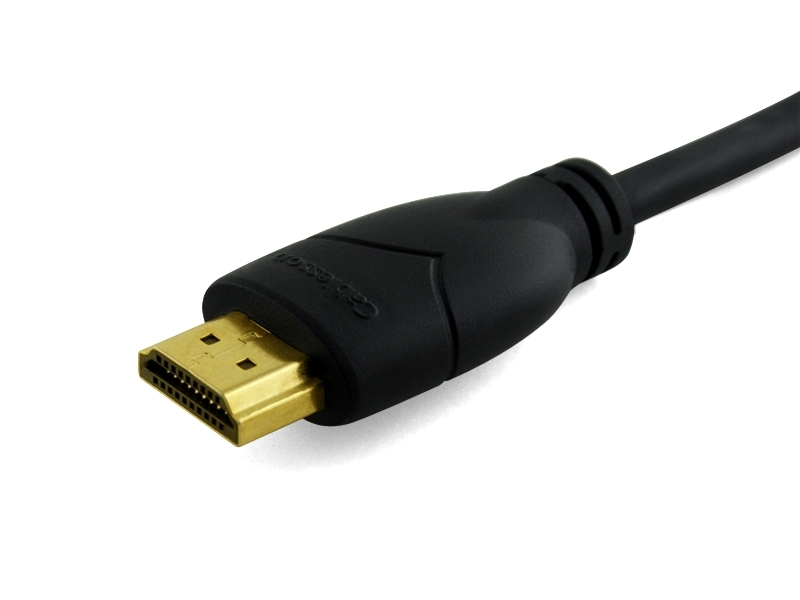 This cable is highly specified to the latest HDMI v1.4 and so can effortlessly handle even the most demanding data including future HD (Ultra HD) resolutions as well as HD Audio formats such as Dolby Digital HD and DTS Master Audio. 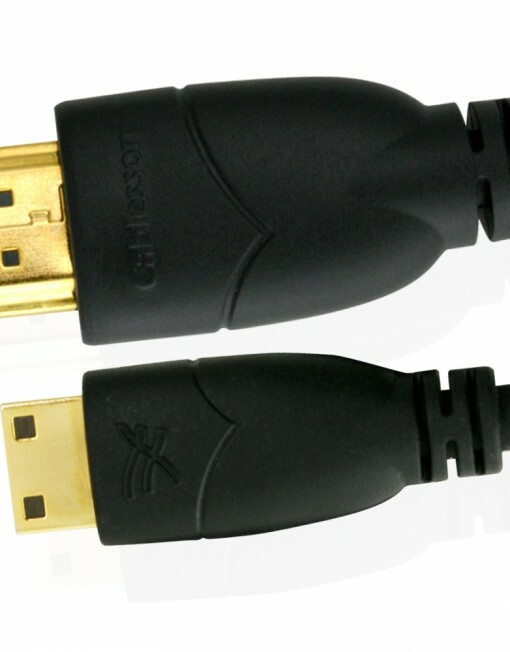 Manufactured for uncompromising performance, the Cablesson Basic Mini HDMI to HDMI Cable with Ethernet Cables feature 24k gold contacts for superior resistance to corrosion, and also counteracts noise and interference with its high density triple-layer shielding. 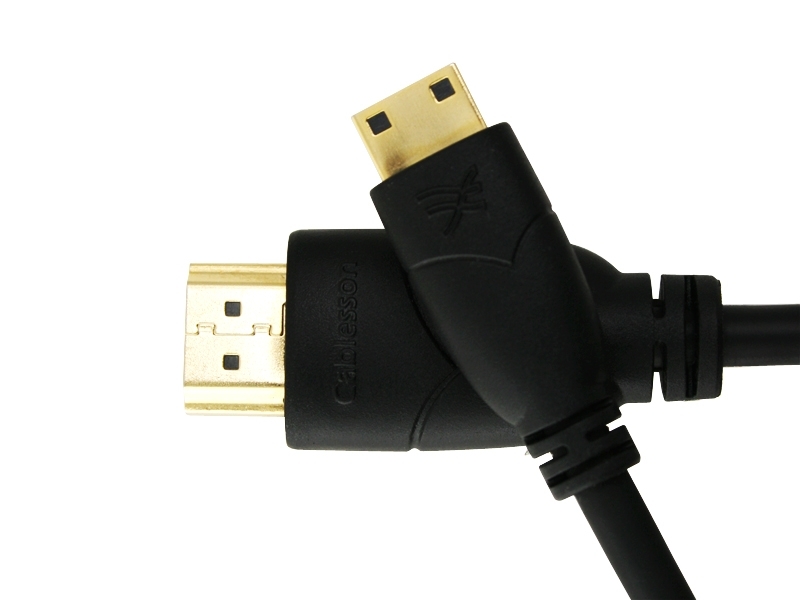 Note: Mini HDMI cable is not compatible with devices that have a Micro HDMI port. 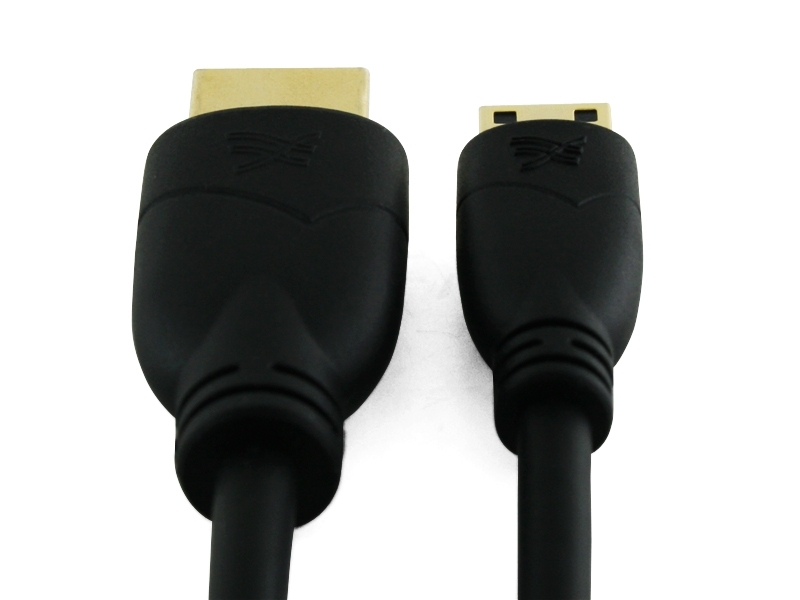 Please check your device specification before purchase to check if it takes a Mini HDMI (Type C) or a Micro HDMI (Type D).